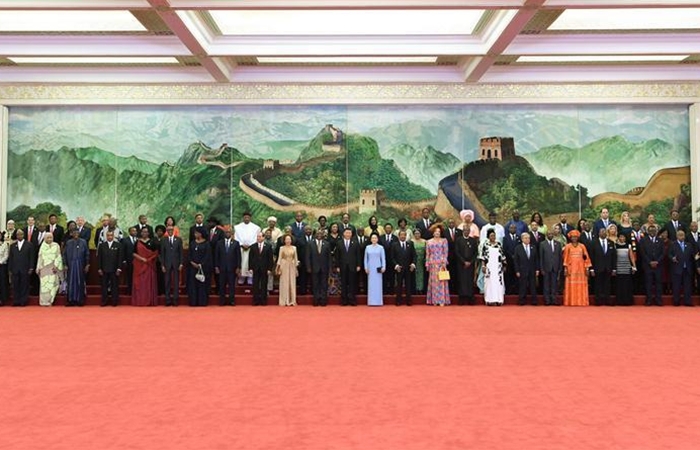 Chinese President Xi Jinping and his wife Peng Liyuan hosted a banquet on Monday evening to welcome foreign leaders and their spouses who are in Beijing for the Forum on China-Africa Cooperation (FOCAC) summit. "Twelve years ago, Chinese and African leaders gathered in Beijing to renew friendship and discuss cooperation," Xi said. "Today, we are here again to reaffirm our original aspirations, carry forward our cause and forge ahead into the future." 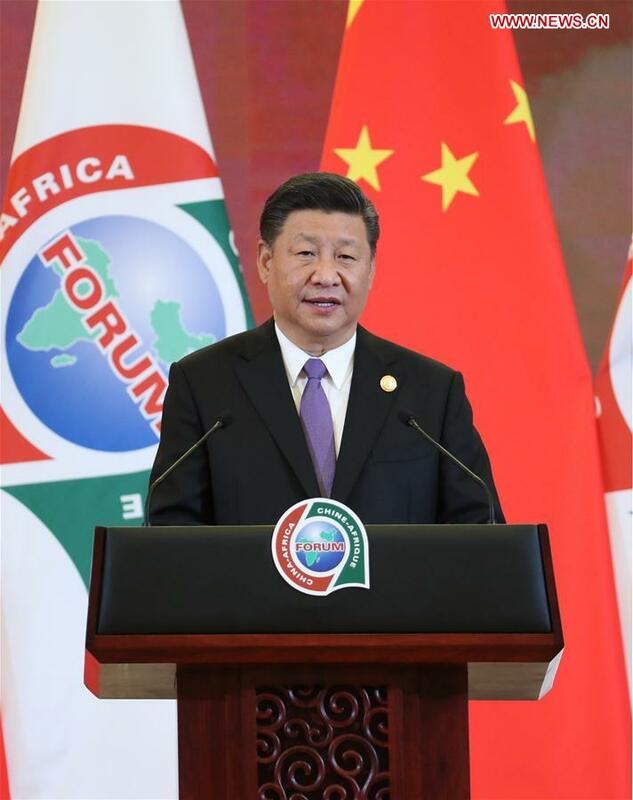 Over the past 12 years, China-Africa relations have been developing steadily and rapidly, with intensified exchanges at all levels and stronger cooperation in all fields, Xi said. China is willing to work with African countries to honor promises with actions and write history with solid work, so that Chinese and African peoples will live a happier life and China-Africa friendship will enjoy a more splendid future, Xi said. FOCAC is an important platform for South-South cooperation as well as multilateral cooperation, said South African President Cyril Ramaphosa, who co-chaired the summit that opened on Monday. China is a reliable partner for African countries to realize the African Union Agenda 2063, said Ramaphosa on behalf of the African countries, adding that the summit will definitely elevate the Africa-China relations to a new level. Other Chinese leaders including Li Keqiang, Li Zhanshu, Wang Yang, Wang Huning, Zhao Leji, Han Zheng, and Wang Qishan were also present at the banquet in the Great Hall of the People, which was followed by performances presented by Chinese and African artists.